Hi! 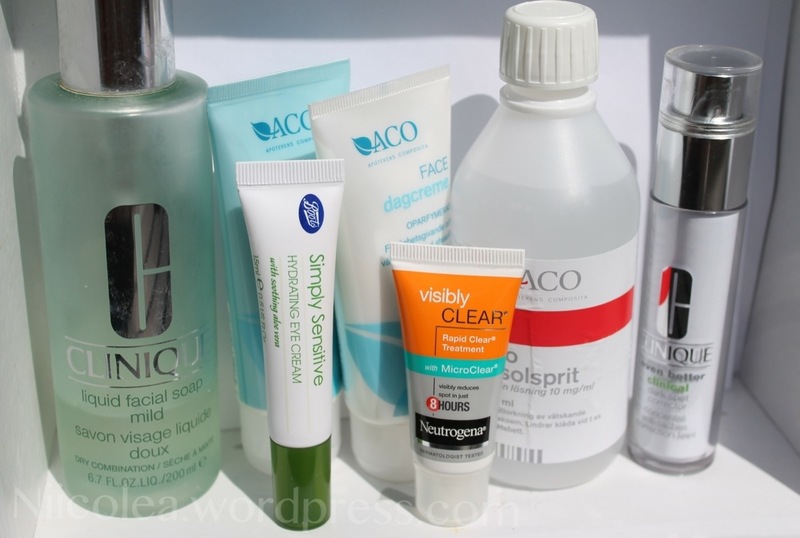 Today I’ll share my daily skin care regime, which I’ve been meaning to do for quite some time as it has been requested by a few of you. As my skin is very sensitive to products with perfumes and oils, I try to avoid that in all of my skin care and makeup products. 1. I start by removing all of my makeup with these baby wipes. 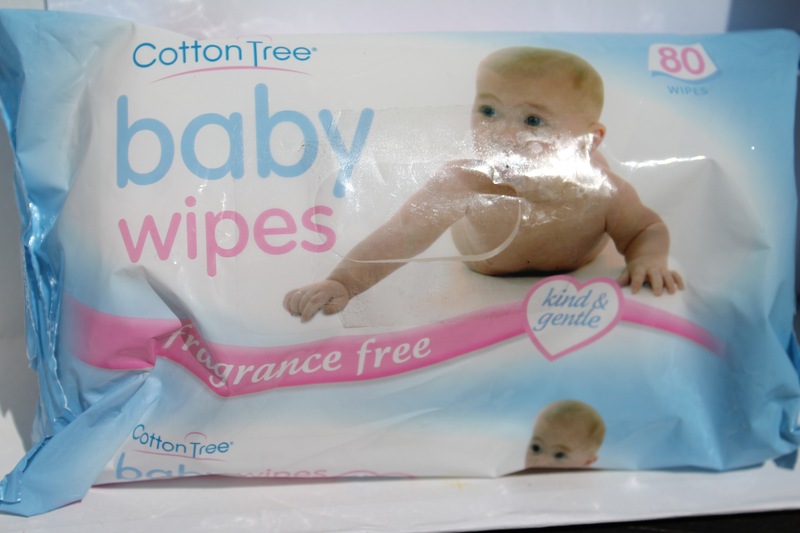 These wipes are great because they are fragrance free, very gentle on the skin and they are non-drying. 2. 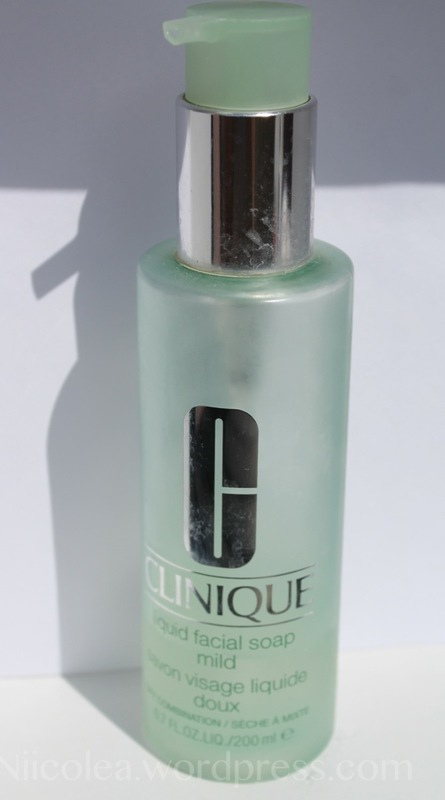 I then cleanse my face with the Liquid Facal Soap by Clinique, using only one pump for my entire face. I usually leave it on my face for a few mintues in order for the product to penetrate into the skin for a deeper cleansing. The facial soap is fragrance free and non-drying as well, it leaves the skin feeling fresh and clean. 3. Instead of using a toner, I now use this Alsolsprit (don’t know the English word for it, sorry. Swedish people help me out!) which helps to dry out wounds or eczema. This is probably not meant to be used on the face, but this product is amazing for acne and it helps to dry out acne scars. It contains some alcohol and is quite drying, however I only use it on areas where it’s needed. 4. 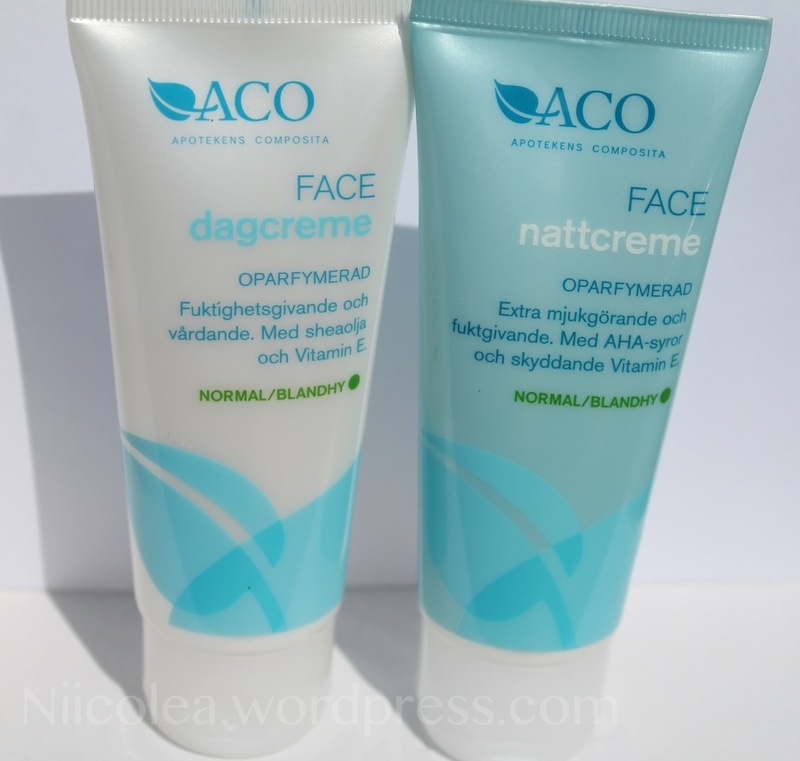 To moisturise my face in the morning I use Face Daycream by ACO (which is a Swedish pharmacy brand) for normal to combination skin. At night I use the Nightcream by ACO which contains AHA-acids, natual oils and Vitamin E which are great for the skin. 5. Whenever I break out I apply this spot treatment on the spot and it helps the treat the spot rapidly. 6. 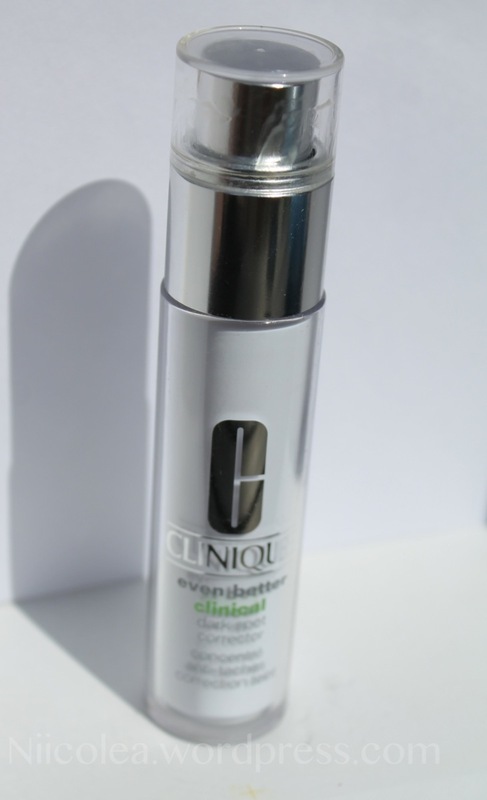 I apply the Dark Spot Corrector by Clinique on my dark spots and acne scars on my skin. 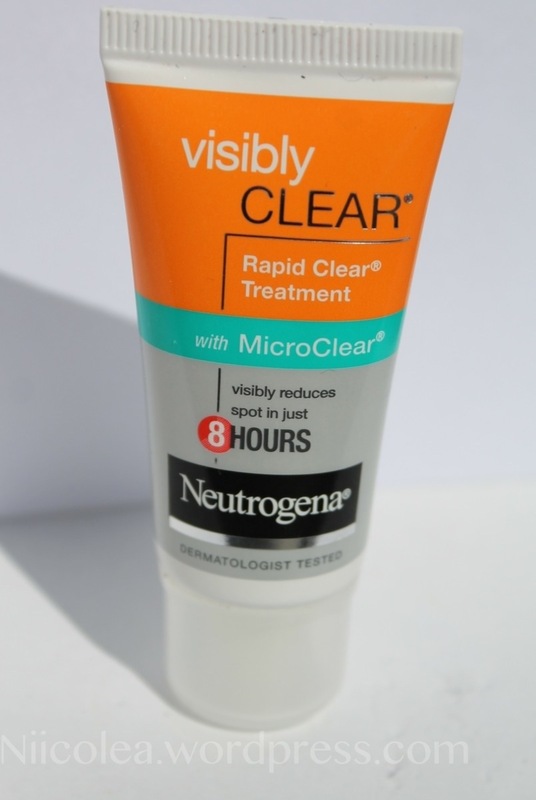 This product helps to maintain clarity on the skin and helps to brighten dark spots, I love it! 6. Finally, I apply my eye cream around the eyes. This eye cream nourishes and moisturises the delicate skin around the eyes. The eye cream is fragrance free as well, which is nice. What’s is your skin care routine? I’d never have thought to use baby wipes to remove makeup but it makes total sense! It’s super gentle with no harse chemicals. Will have to switch to them after I finish using all my normal makeup remover wipes! Pingback: Nanadownload – Everything for the life, Everyday tips – What’s in My Travel Makeup bag?